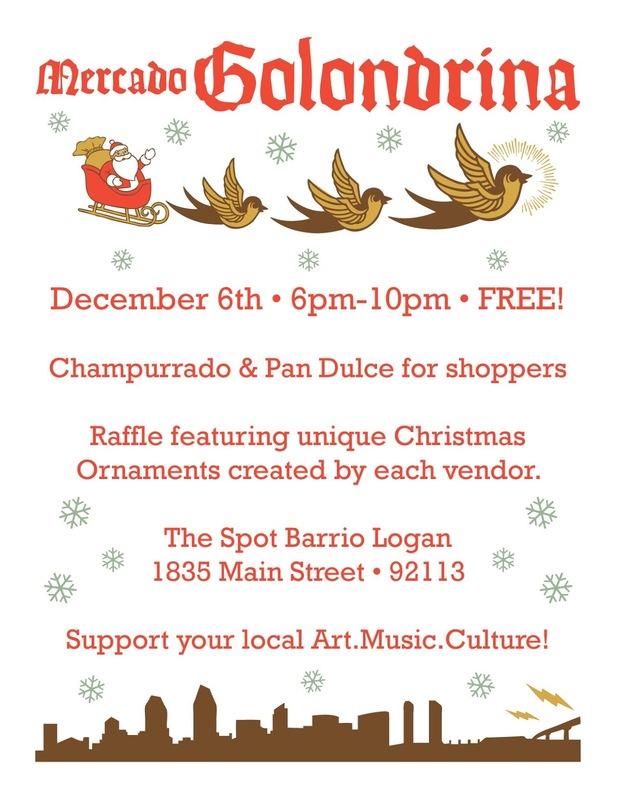 Wink will be vending at the next Mercado Golondrina event on Thursday, December 6th from 6 - 10 PM at The Spot in Barrio Logan. 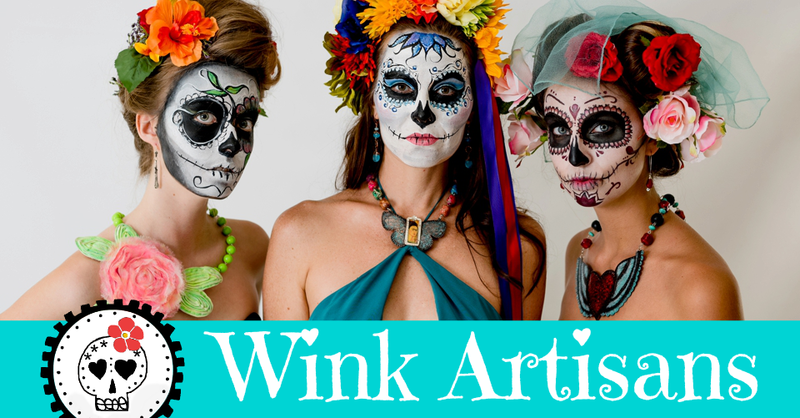 Shop for unique handmade gifts, have fun and support local artists. 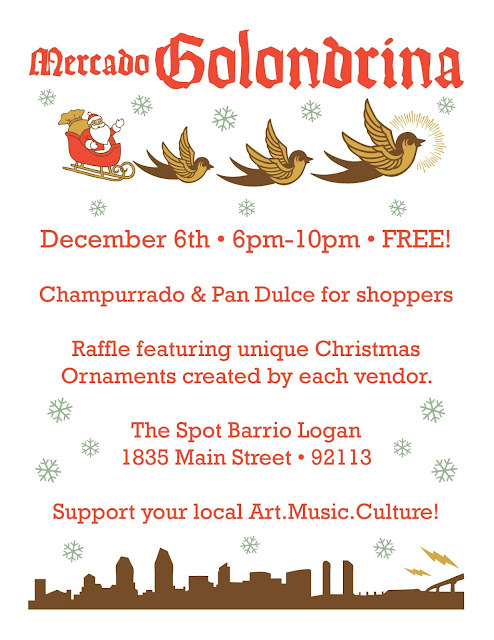 Find The Spot at 1835 Main Street, San Diego, CA 92113. See you there!